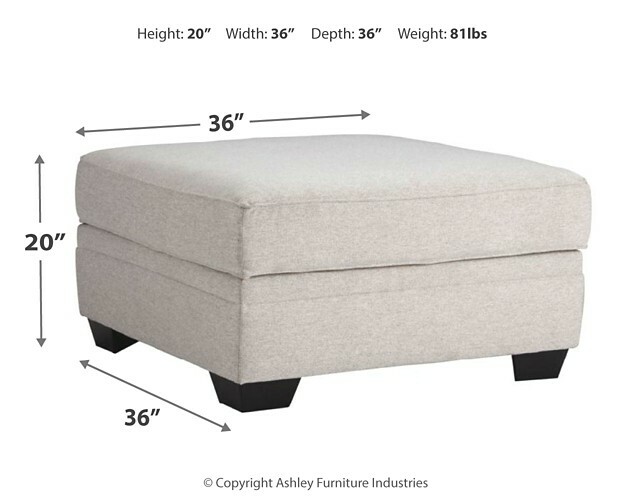 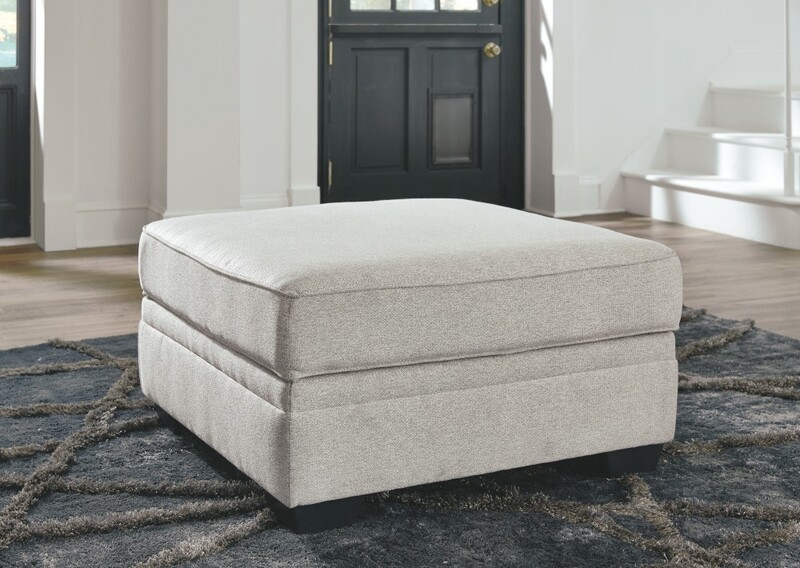 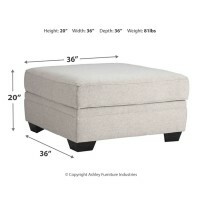 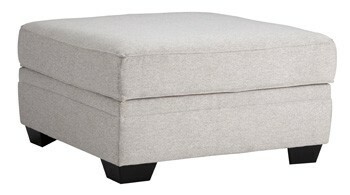 Sit back and kick your feet up in style on this ottoman with storage. 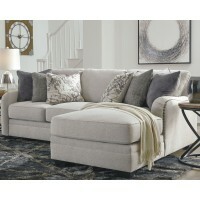 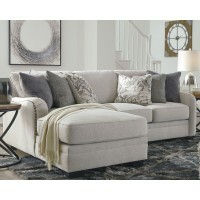 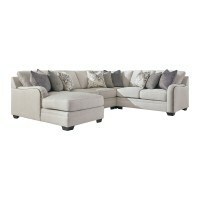 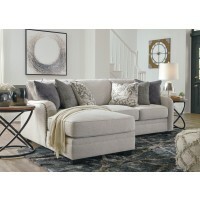 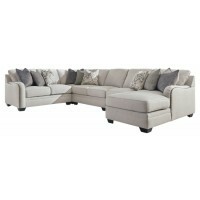 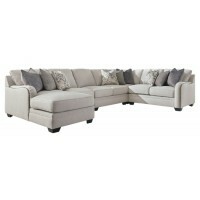 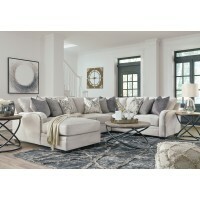 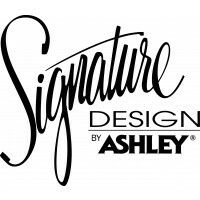 Its clean-lined design pairs well with your casual and transitional furniture. 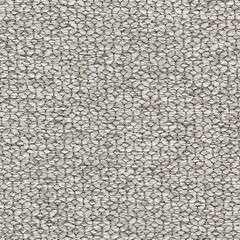 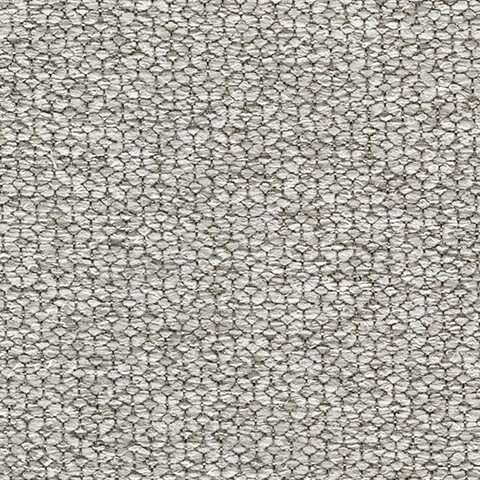 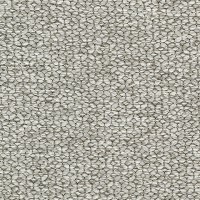 Soft, tight woven texture with chalky beige hue is so in the now. 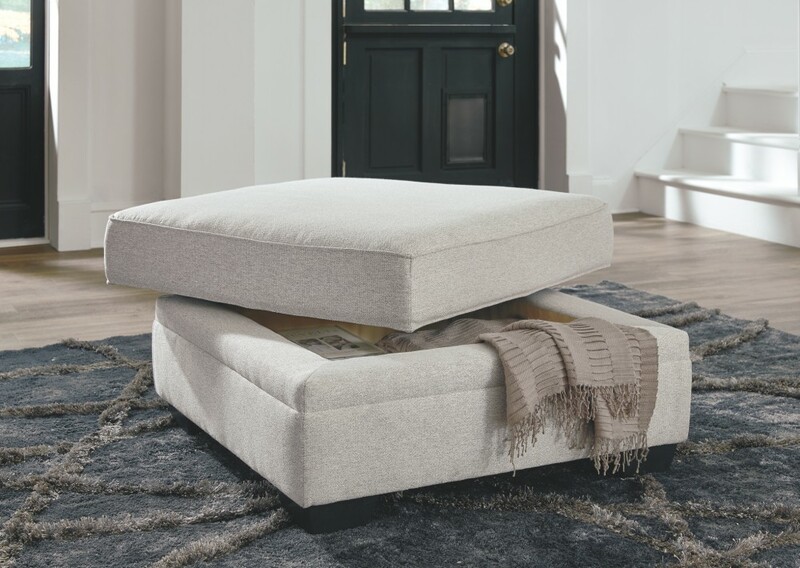 Have unexpected guests? 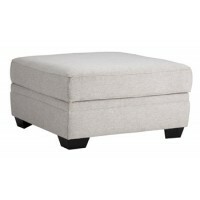 Simply lift the top and throw in clutter for quick clean-up.